I'm an art student, using arduino in an Electronic Arts Class. I have already created a skateboard speedometer, using a Hall Effect Sensor and a magnet embedded in one of my skateboards wheels. I've attached a speaker to the arduino that plays a tone, with the pitch depending on the RPM's of the wheel. (the faster the board is going, the higher pitch the tone being played is). Currently the speaker is attached to the skateboard and wired directly to the arduino. My goal is to have a speaker with an arduino wirelessly connected to the arduino on the skateboard. The arduino on the skateboard record's the RPM's and then wirelessly send that information to the second arduino to play the tone through the speaker. Is this possible? what hardware would yo recommend? I've been looking at the Bluetooth HC-05 but I'm not sure this will work. Thanks for any help! 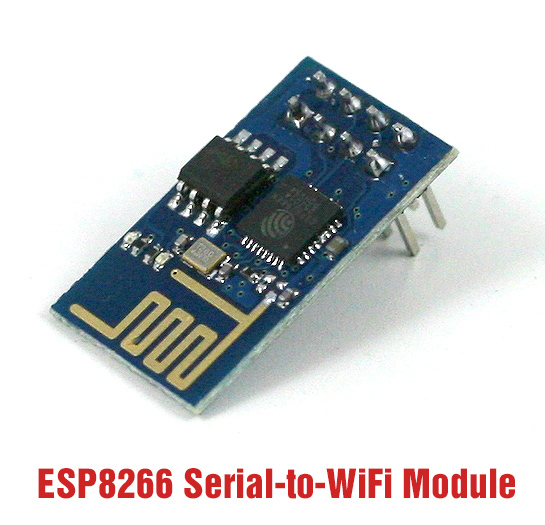 ESP8266 is also a good choice. these little guys are really useful and give you a Wi-Fi connection between your Arduino boards. Also, the cost of one ESP8266 is about $3.. super cheap! Can the EWRF 3022 module be directly connected to the pc totransmit data from the pc wirelessly? I fried my arduino. Can I upload code wirelessly?